Hello All My Darling Divas!!! I’m reallllyyy excited because today is the first day of the Curve Maintenance series! As stated in my update blogpost last week, I’m going to start incorporating health and fitness in the blog! If you want to know more about what to expect in the Curve Maintenance series, then click here for that blogpost. Now I’m sure that one day of juicing is not going to make me loose 20 pounds, but the reason that I’m doing this is beyond weight loss. I decided to do a juice fast because I wanted to introduce my body to something new, wanted to challenge myself, and I wanted to flush out all the bad foods that I have been consuming since THANKSGIVING! Now juicing for more than a day would produce maximum results, but I feel that one day of juicing will start the cleansing process, and get me on track to eating better. I decided that I would vlog my juicing experience so that both you and I can see the process. It’s always good to document things that happen so that you can go back to them later on as a reference. So lets see how good I did on my juice fast. Did you enjoy the vlog? I have to say I really enjoyed vloging! I have never vlogged before, but am so obsessed with watching other people’s vlogs! Now I’m going to do a follow up video later this week telling you how I felt during the fast, and how I feel after if your interested. I feel that this blog has given you enough to watch and read, so I’m going to break it up. 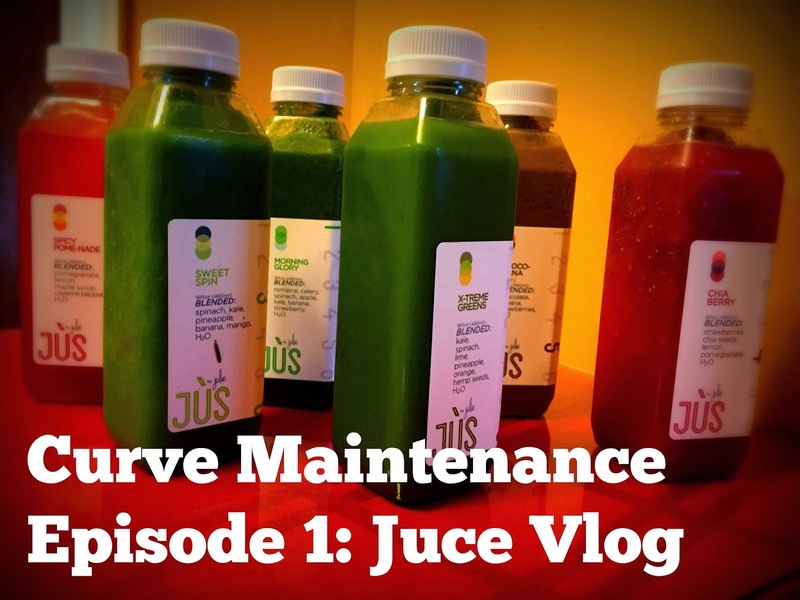 Ladies (and gents) I hope you have enjoyed the first episode in the Curve Maintenance Series! Be sure to come back later this week for Episode 2: The follow up! Feel free to follow me on any of my social networking sites. They are all linked above. Until next time, love ya lots like tator tots, and see you soon!